Made in USA - Includes Case, Valve Oil, Bach 7C Mouthpiece. 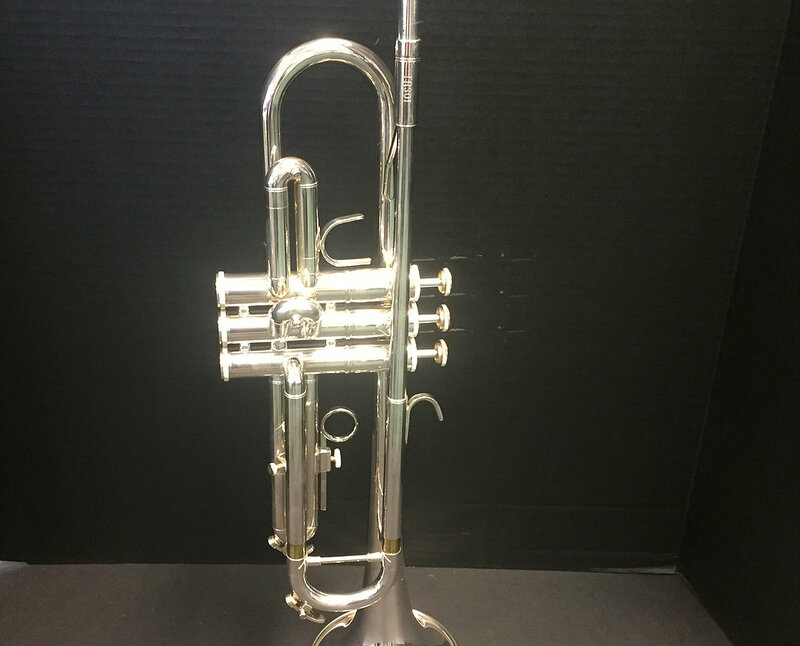 The trumpet features a nickel silver receiver and red brass mouthpipe for durability. Trumpet also features a one-piece valve casing, monel pistons, first slide thumb saddle and adjustable third slide finger ring.